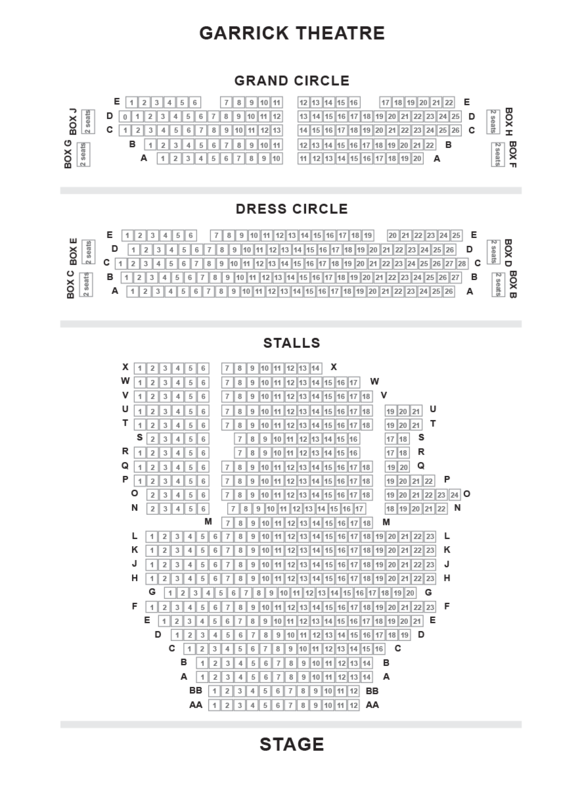 We do not curently have theatre tickets available for Horrible Histories - Barmy Britain Part 3 This could be because we have simply sold out or it could be that this show is no longer running. The information on this page remains purely for historical and informational purposes. 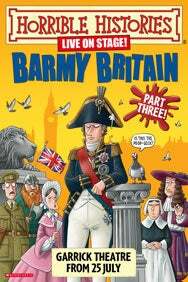 Following the major sell-out success of Horrible Histories  Barmy Britain Parts One & Two, Birmingham Stage Company will return to the Garrick Theatre with a brand new instalment, Horrible Histories  Barmy Britain - Part Three! from 25 July  5 September, making it the longest running show for children in West End history. From the pens of Terry Deary and Neal Foster, the barmiest bits of British history will attack the stage, including a special sketch with King John to celebrate the 800th year of the signing of the Magna Carta. Will King John be a martyr for the Magna Carta? Party with the Puritans and light up your life with the Great Fire of London! Clap along with crazy King Charles! Will you see eye to eye with Admiral Nelson? Does the Duke of Wellington get the boot? Vomit with the vile Victorians and make a great escape from the First World War.